April in California is full of amazing events and entertainment, and Coachella is one of the most popular events. This year, the music and arts festival takes place from April 12 to 14, and 19 to 21. But it can be difficult to get ahold of passes to Coachella, and if you’re not feeling like traveling, you might decide to bypass it entirely. Which is perfectly fine, because we’re going to be partying here at APEX. No travel, no super crowded massive festival, just you, your closest friends, and amazing up-close entertainment. Sound good? 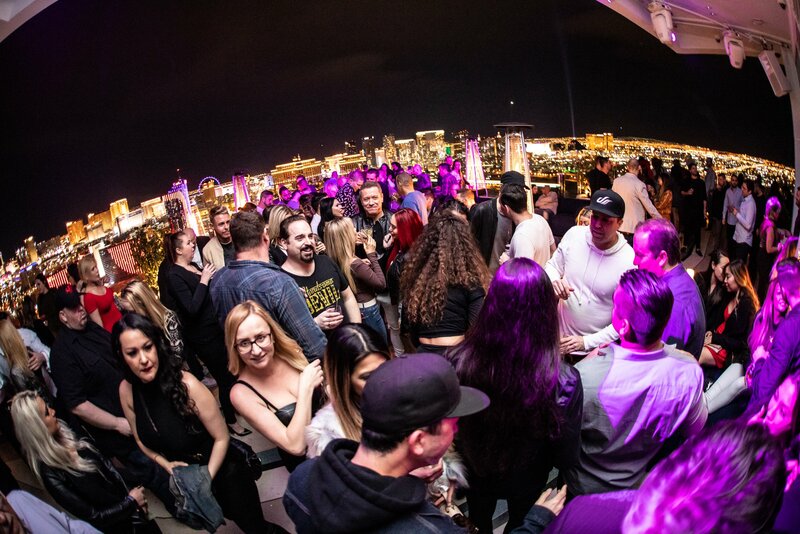 Elevate Thursdays at APEX is just a few months old, but it’s already proven to be one of the most popular EDM music events in Vegas. Each Thursday, join us as DJ Paul Ahi spins deep house sounds full of energy that will keep you dancing all night long. DJ Ahi has performed with top DJs including Paul Oakenfold, Benny Benassi, and Steve Angello. We’re thrilled to have him join us here at APEX, and he’ll be performing with the occasional special guest, so make sure you don’t miss an Elevate Thursday. 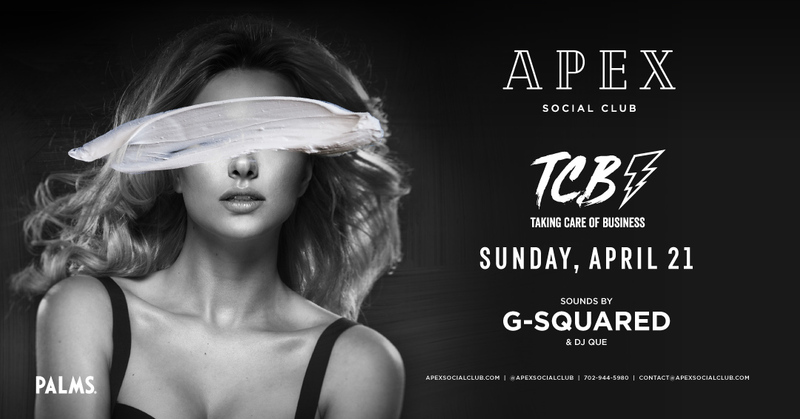 APEX quickly became known for bringing the best, most innovative entertainment that you can find in Las Vegas, and our April lineup proves that that’s true. We have some incredible DJ talents on the calendar for April, and these are shows that you won’t want to miss. But we don’t just bring you great entertainment. At APEX, we combine that entertainment with an incredible atmosphere and amazing cocktails to make your night unforgettable. Dance to the high-energy and intoxicating mixes in our intimate lounge where you’ll be close to the performers. 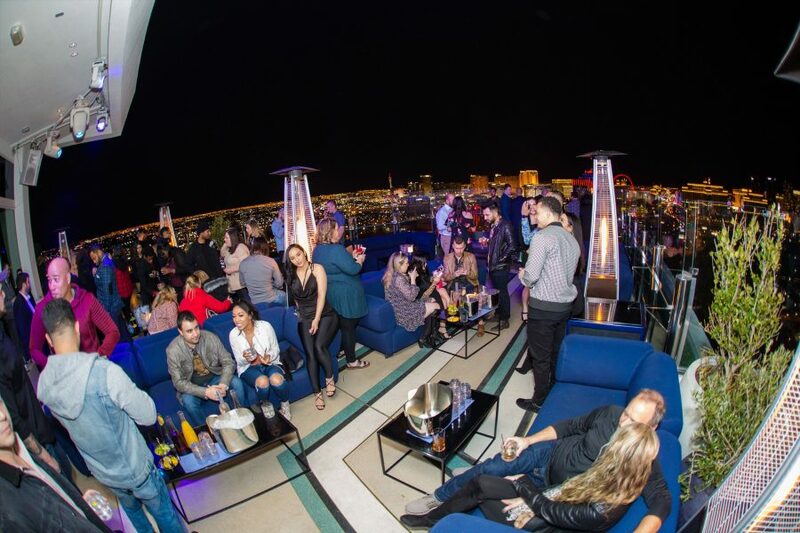 Then, grab a cocktail and head out to our outdoor patio where you and your friends can toast the night and enjoy stunning views of Las Vegas from the 55th floor of The Palms Casino & Resort. 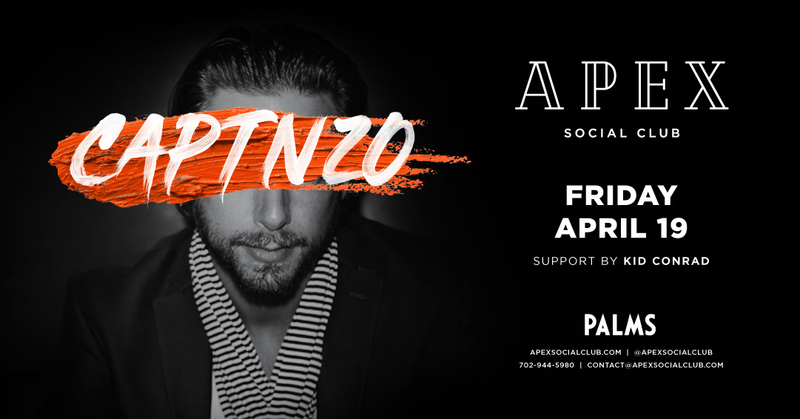 On Friday, April 12th, DJ Stretch will bring his unique jungle drum influences to APEX. He’s known for his mix, “Worries in da Dance,” and has performed in Europe, Japan, and across the United States. He’ll have support from DJ Kittie. DJ Kittie plays many different genres, including EDM, hip hop, house, and more. She’s held a residency at Tao & Lavo in Las Vegas, and has played in huge music festivals, too. DJ Stonerokk will perform at APEX on Saturday, April 13th. DJ Stonerokk first learned to mix records while he was resident DJ at Tao Beach. He and Graham Funke have held a Las Vegas residency and they’re known for their amazing mixing ability. G-Squared, a DJ and a producer, will also perform with DJ Stonerokk. He’s been performing in Las Vegas for years and has held residencies at Encore Beach, Surrender, Tryst, and more. He’s known for high-energy open format mixes and has been recognized by the likes of MTV, Juno Awards, and Las Vegas Weekly. Saturday, April 14th marks our Blueprint Sound Takeover. 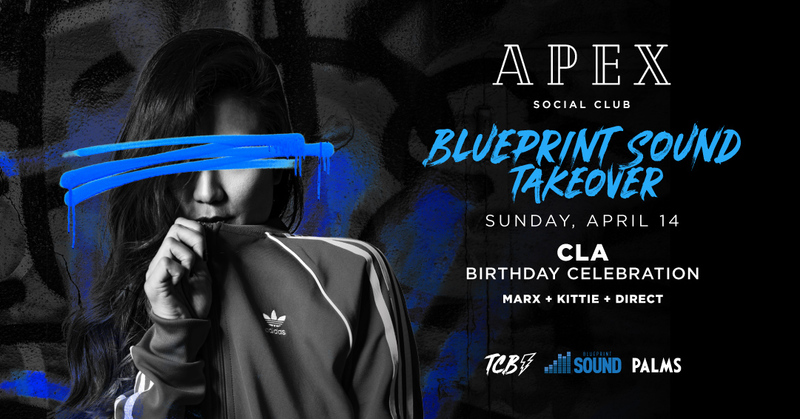 Blueprint Sound is bringing some of the best DJs to APEX, including DJ Marx, DJ Kittie, and DJ Direct. Friday, April 19th, Captn20 and Kid Conrad take over APEX. Captn20 first got his start in the Detroit club circuit. He’s since held a residency at MGM Grand’s V Nightclub, been voted “Detroit’s Best Club DJ,” and performed with The Chainsmokers, DJ Am, and more. Las Vegas native Kid Conrad has held residencies both on and off of the strip, and performs all over the country today. G-Squared returns to APEX on Saturday, April 20th, this time playing with Graham Funke. Graham Funke and DJ Stonerokk are known as the “Captains of the Industry,” so you know you’ll be in for a great show. We’re bringing unforgettable entertainment to APEXX, and there’s only one way to make your night even better: Treat your party to Bottle Service! You and your group will be treated like the ultimate VIPs for the entire night, and you’ll enjoy your own private space, personal staff including security, and bottles and mixers brought right to your table. There’s no waiting in line at the bar, so you won’t miss a moment of the action. Click for Bottle Service and table reservations!